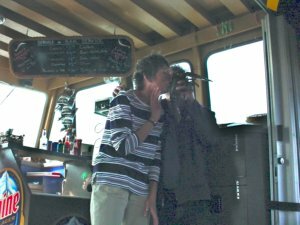 eat run sail: Blogger Award - What a Surprise! 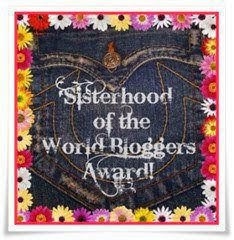 I was just tagged by Nikki, who writes The Worth of My Sole, for a blogger award. I didn't know what this was or what was involved... so I did a bit of investigating.... and have decided to join in the fun. I just recently found Nikki's blog and am thoroughly enjoying reading about her fitness adventures... and looking at her pictures! Her posts are uplifting and very inspiring. Go have a read and follow her, if you aren't already. 1. 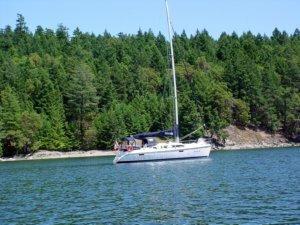 I live on a sailboat for most of the year, with my husband of more than 20 years. 2. I am dog-crazy. 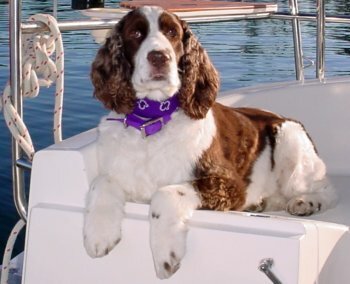 My best birthday gift, ever, from my darling husband, was an English Springer Spaniel puppy I called Scouts Honor... I got my pick of the litter and Scout was the apple of my eye and constant companion for the 8 years she graced out lives - I still miss her, 4 years since she passed away. 3. I am shy. That is why you will rarely see pics of me on this blog! 4. I have a food blog called We can begin to feed... It is a compilation of recipes and ideas that I like, and I add to it as I make and photgraph something new. I am having lots of fun with it. 5. I didn't finish university when I first went, right after high school. I went back to college many years later, as an adult, and studied information systems (and became a systems analyst and programmer, in the financial services industry). I am quite proud of a silver medal I received, upon graduation, from the Governor General of Canada (that is the Queen's representative in our country) for having the highest GPA at my school, that year. This isn't a pic of mine, but it is similar. 6. I love to do crafts of all kinds. I knit, crochet, quilt, sew, cross stitch. I make jewellery and do decorative beadwork. I like paper crafts and will try almost anything. LOVE THIS. This was definitely NOT more than I ever hoped to know about you...I have loved following your blog and getting to know you little by little. How awesome that you got this award so that I could learn even more :) Your pup was seriously adorable. Such a great pic. And all of your recipes are always AMAZING. So glad you tagged my sis...she needs to get back into the blog world PRONTO. haha! have a wonderful evening! YOU LIVE ON A SAILBOAT?!!? This may just be the most amazing thing I've ever heard...wow. You seriously rock. Oh, I loved reading those fun things about you! Living on a sail boat for most of the year!?! Wow!! I've never known or met anyone to ever do that. What an adventure! Highest GPA in your class! That is seriously the greatest accomplishment. Congratulations! And kissing a lobster!! hahaha! That is so funny! Thanks for doing this! It was fun to get to know you better!! Love the post. So interesting to learn these little facts of your life. 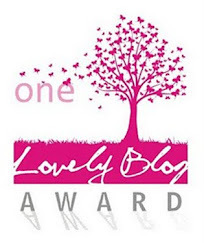 And thanks for nominating me for the blog award. 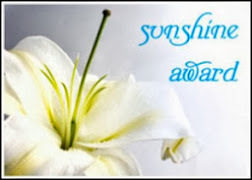 Your so sweet. 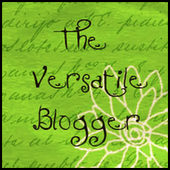 Love following your blog. Thank you for the very kind comments. I am blushing. Elle!! Loved reading this about you!! 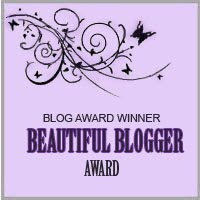 Plus, you deserve the blogger award. 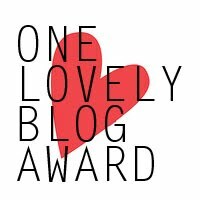 Congrats and thank you for nominating mine. Unfortunately it's not very sophisticated. BTW...Brian is a total foodie and he has been on your food blog AND we LOVE your dog!!! I haven't done another post yet cause I love bringing up this page and seeing my Scout's sweet face here. I am also a dog lover and have two - Sadie and Grace. I cannot imagine my life without them. Scout was a beautiful pup - I cannot imagine how you must feel without her. I'm sorry you have to feel that loss. Like I said, it is awesome that you live on a boat! I now consider you, "My friend that lives on a sailboat!"